As the morning meeting began, news arrived that Khrushchev had made a new proposal, publicly, over Moscow radio. The evening before Khrushchev had offered in a private diplomatic message to remove the missiles from Cuba in return for an American pledge not to reinvade Cuba. Now, before the administration had the chance to discuss that offer, Khrushchev had raised the ante—demanding that the U.S. withdraw its missiles from Turkey as a quid pro quo for removal of the Soviet missiles from Cuba. 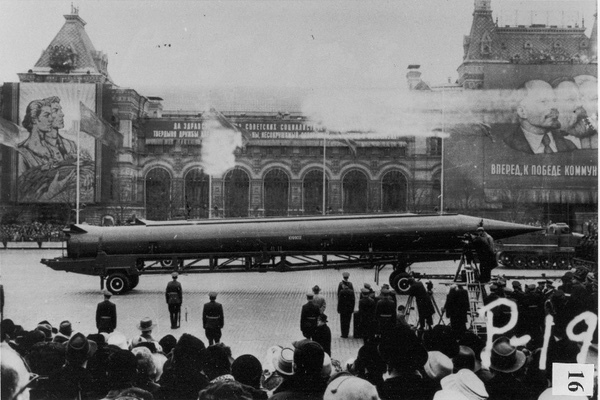 President Kennedy, who had speculated about a possible missile swap during the first week of discussions, argued that Khrushchev’s public offer would have broad international support and could not be turned down: “We’re gonna be in an insupportable position on this matter if this becomes his [Khrushchev’s] proposal. In the first place, we last year tried to get the missiles out of there because they’re not militarily useful, number one. Number two, it’s gonna— to any man at the United Nations or any other rational man, it will look like a very fair trade.” Everyone else urged the rejection of the offer. “Where have they talked with us?” JFK demanded. “But, what ‘most people,’ Mr. President?” McGeorge Bundy asked skeptically. News arrived later that afternoon that a U-2 plane had been brought down by a Soviet surface to air [SAM] missile in Cuba—and the pilot killed. “How do we interpret this?” the stunned president asked. Robert McNamara admitted, “I don’t know how to interpret it.” “How can we send a U-2 fellow over there tomorrow,” JFK acknowledged, “unless we take out all the SAM sites?” “This is exactly correct,” McNamara declared; “I don’t think we can.” “They’ve fired the first shot,” Paul Nitze pointed out stridently. “We should retaliateagainst the SAM site,” General Taylor demanded, “and announce that if any of ’em have any other planes fired on we will come back and attack it.” The JCS chairman also reminded the president that he had agreed several days earlier to launch immediate military retaliation in response to the shooting down of a U-2 by a SAM. 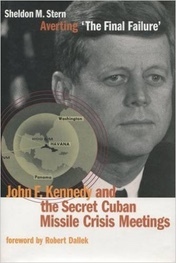 President Kennedy, however, promptly returned to the issue of withdrawing the missiles from Turkey rather than bombing the SAM sites in Cuba: “Therefore, we gotta move. That’s why I think we gotta have a NATO meeting tomorrow” to discuss the Jupiter removal. McNamara recommended telling NATO: “‘We mayhave to attack Cuba. If we attack Cuba, [the Soviets may regard] Turkey as a hostage and they’re likely to attack Turkey.’” Therefore, taking the missiles out of Turkey allows us to act in Cuba “without endangering you, the alliance.” JFK, however, was clearly thinking of the Turkish missile trade, not in terms of McNamara’s politically cunning diplomatic/public-relations scheme to make an attack on Cuba seem less objectionable to NATO, but rather as a bold stroke to resolve the crisis entirely without using military force at all. The virtually unanimous opposition to the trade seemed, if anything, to harden the president’s determination to accept Khrushchev’s proposal; later that evening, Kennedy sent his brother Bobby to meet secretly with Ambassador Anatoly Dobrynin to propose the deal. In the end, Robert Kennedy’s loyalty to his brother outweighed his strenuous and unyielding personal opposition to the missile trade. Khrushchev announced acceptance of the proposal on Moscow radio the following morning. He declared that the removal of the missiles from Cuba had been balanced by a US pledge not to invade the island nation; the chairman also agreed to US insistence on keeping the quid pro quo on the Jupiters secret. The deal was not revealed publicly for a quarter century. The United States and the Soviet Union each conducted atmospheric nuclear tests on that potentially catastrophic Saturday, October 27, 1962. The American test was code-named CALAMITY. And, even after the crisis was resolved, the President continued to authorize covert sabotage in Cuba as well as plots to assassinate Castro. Indeed, an assassination plot was being discussed by intelligence operatives on the very afternoon, 13 months later, that JFK was shot and killed in Dallas, Texas.